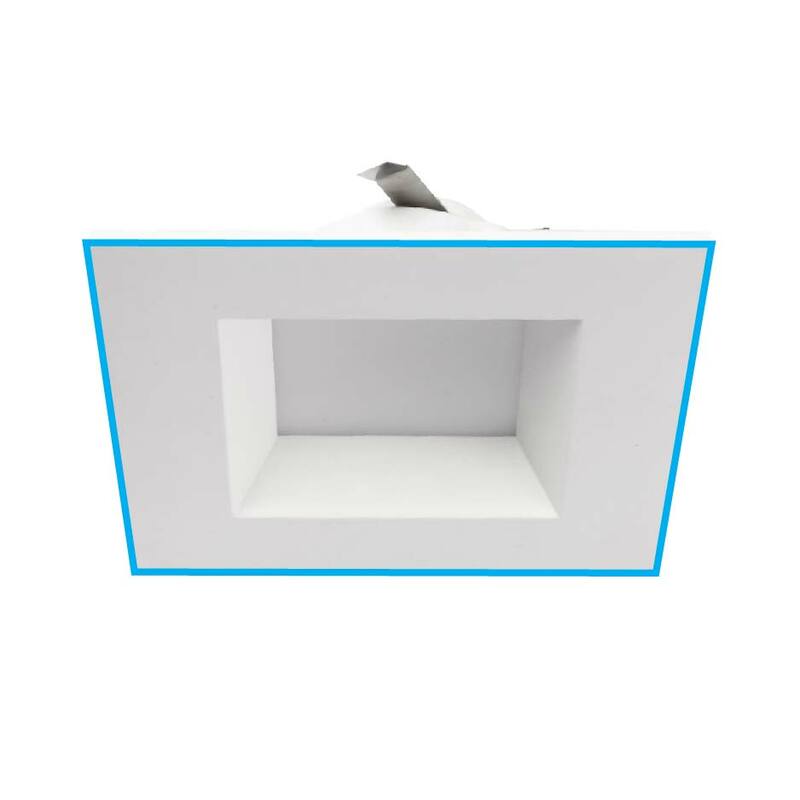 The 4 inches dimmable LED square downlight is an ideal recessed retrofit downlight that can easily replace the traditional can light to provide you with wide beam angle (100-120 degree) for illumination of larger areas. 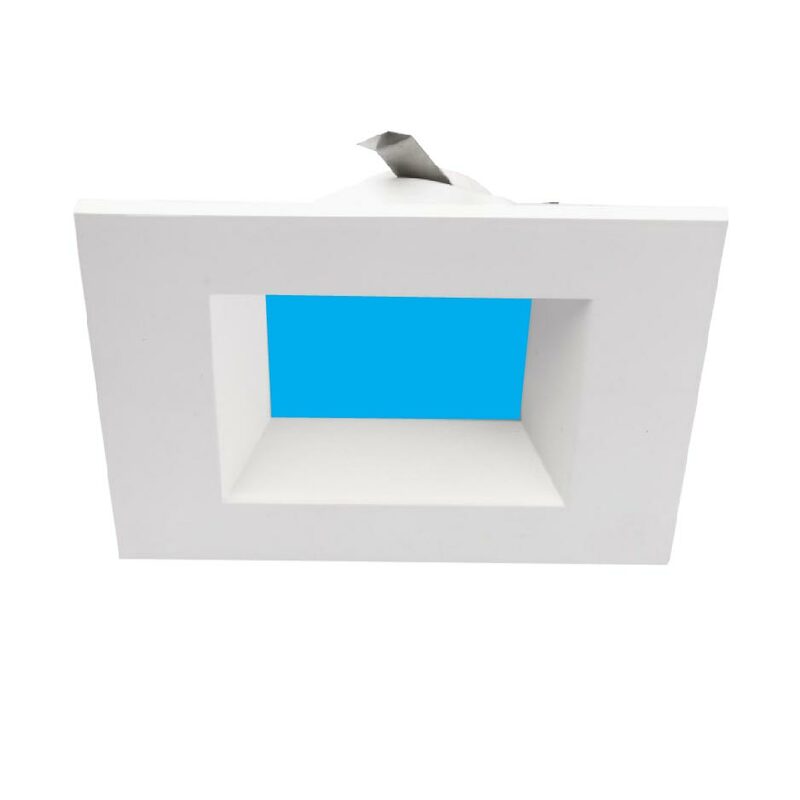 Having a CRI of 90+, this downlight can provide for excellent viewing of objects near you when they don’t look any different from what they actually are. With 50,000 hours of lifespan, these downlights provide you with maintenance-free and replacement-free lighting throughout their entire lifespan. This 9W downlight being equivalent to any halogen light of 65W saves you energy on 57 watts and thus a tremendous reduction in your electricity consumption. As a dimmable downlight, it brings a further reduction in energy consumption, by controlling the level of light being distributed throughout the space. Being available in color temperatures of 3000K, 4000K and 5000K, this dimmable LED square downlight gives you three options in color glow to make a choice based on your requirement. 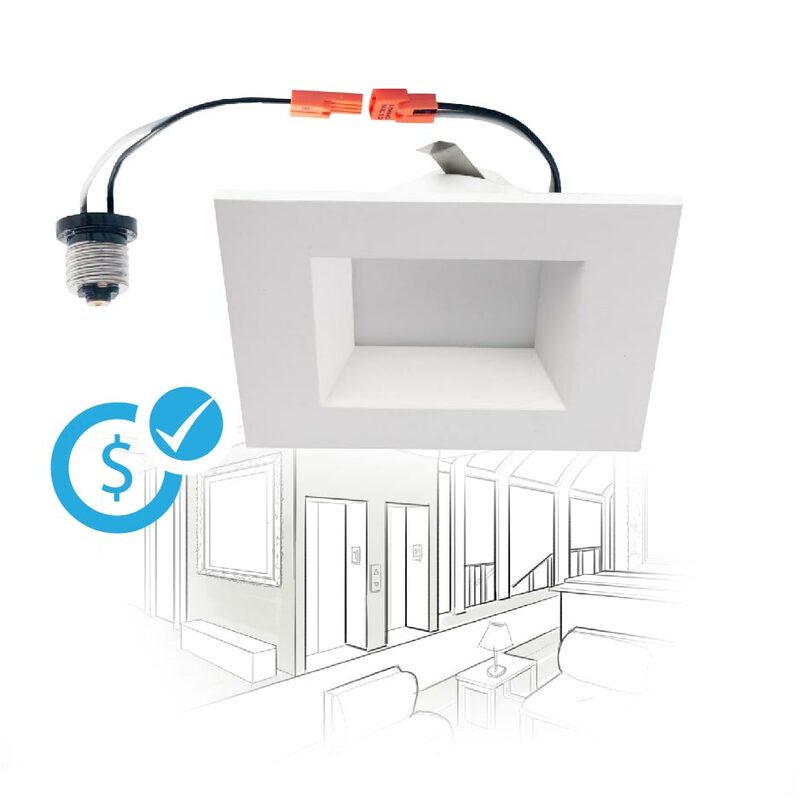 Having approval from Energy Star & ETL, this downlight can get you rebates and incentives. You also get 5 years of warranty from the manufacturer’s end. Square Trim Finish: The square trim design looks good on low ceilings. 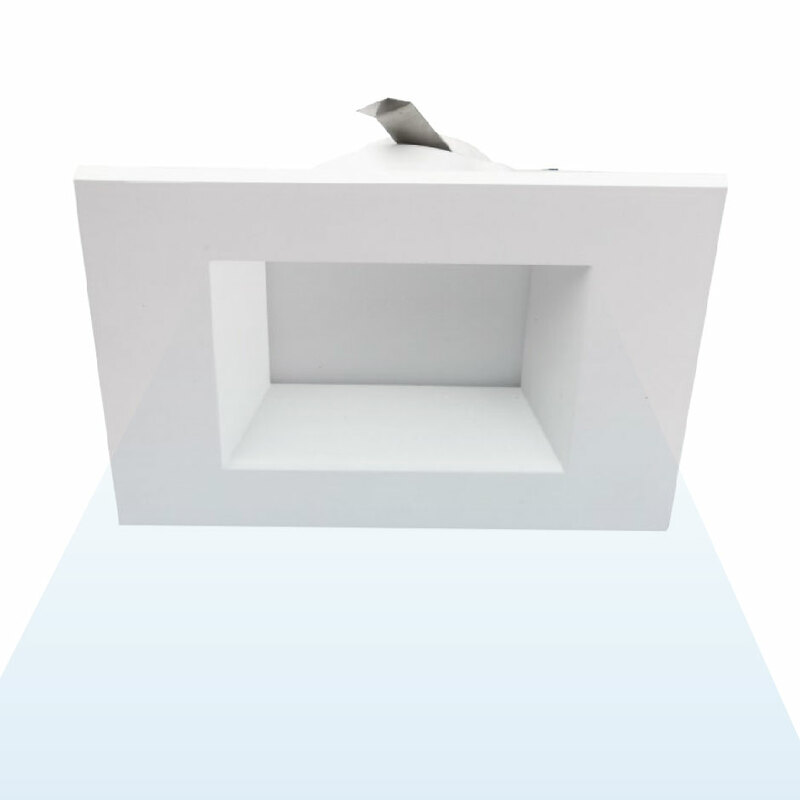 High Energy-Efficiency: By switching from halogen downlight to this square downlight, you save around 88% of energy. Uniform Light Distribution: When your main motive is to not have too intense light but to have uniform lighting throughout the space, this downlight with 600 lumens is just the right choice for you. Dimmable: This downlight is compatible with most standard dimmers in the market allows you to save energy by dimming the light from 0-10V when it’s downtime and an intensely bright light is not needed. Installation: Our motive is to provide you with hassle-free lighting options. The installation of this downlight comes in three easy steps so neither does it take too much time of yours nor too much of your grey cells. Three Color Temperature Options: A color temperature of 3000K imparts a warm white or soft white glow with a yellowish hue, ideal for living rooms, kitchens, dining rooms bathrooms etc. The 4000K is good for kitchen, office area and anywhere you need to perform tasks for long enough time. The 5000K imparts a neutral white light-daywhite light glow ideal for display lighting and highly productive work environment that requires detail and focus. 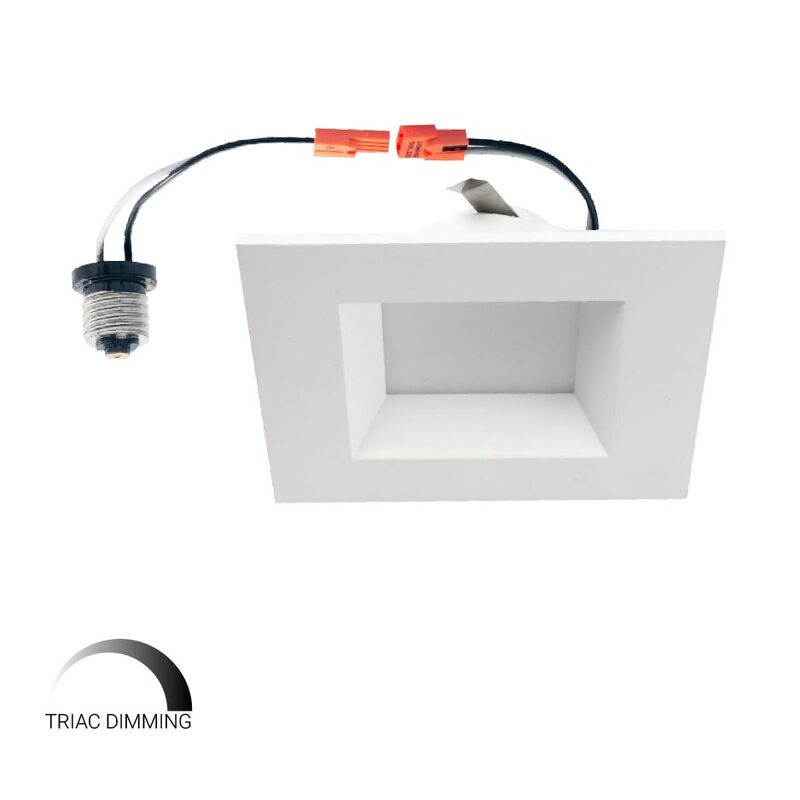 Works With Most Standard Dimmers: This downlight is compatible with most dimmers and can provide for smooth 0-10V dimming of light. This prevents any loss of light energy. Instant Start: The dimmable LED downlight lights up instantly without any delay and without any buzzing noise or flickering as is observed in case of dimmable halogen lights. Easy To Install & Operate: Can be easily installed without much hassle. 50,000 Hour Lifespan: The lifespan of dimmable LED downlight when compared to halogen downlights lasts at least 2-3 times longer than halogens thus bringing the maintenance costs of dimmable LED downlight down and no replacement cost. 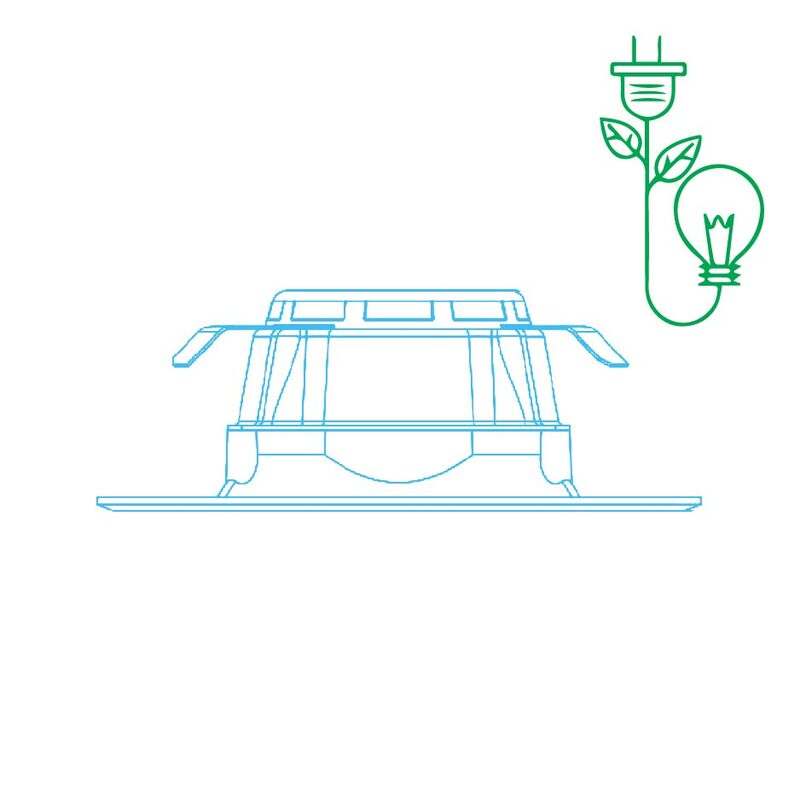 An Environment-Friendly Luminaire: No hazardous waste materials found in our dimmable LED downlight, hence environmentally safe. Rebates & 5 Years Warranty period: Having an ETL & Energy Star approval, this product can get you good enough rebate on the upfront price of this product. Any problem with the product, there’s a warranty of 5 years from the manufacturer’s end. There are numerous ways in which you can install the dimmable LED downlights. But, most likely you might need to go for a straight retrofit i.e. remove the earlier lamp with our dimmable LED downlight. But, you must make sure that you have a dimmer that is compatible with our dimmable downlight. LED dimmable downlight that has a beam angle of 120-degree is used to illuminate large spaces and wide areas with uniform light distribution so that no dark spots can be seen anywhere. The CRI of 90 being more than a standard CRI for our dimmable LED downlight enables objects and spaces to reflect their true colors up to 90% precision in comparison to a natural light source. 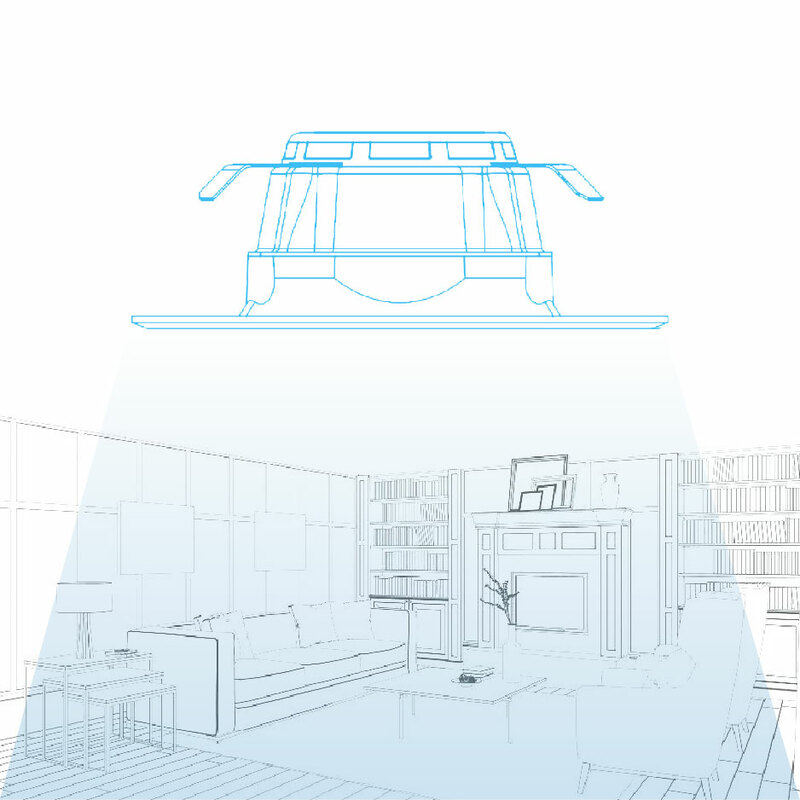 The beam angle of our dimmable LED downlight is very wide -- 120-degree to illuminate the spaces without accentuating any particular object or space. The energy-savings you get from LED dimmable downlight is not less than 75% when you make a switch from any dimmable halogen downlights. 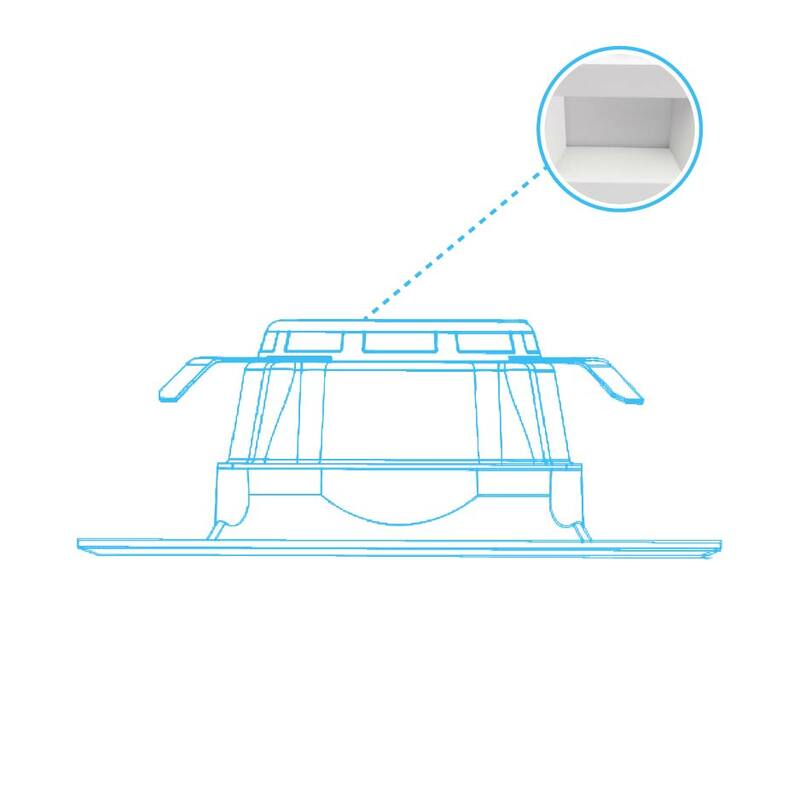 The downlights when dimmable bring extra energy-savings by enabling dimming from 0-10V when 0 volts is the maximum amount of level and 10 volts is the minimum level to which light can be dimmed. 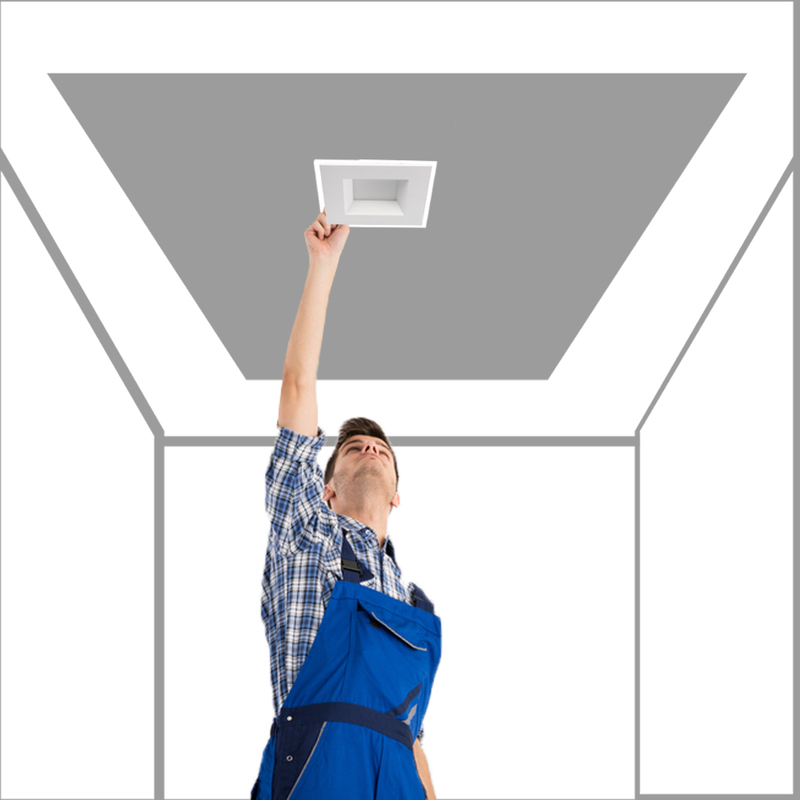 Our downlights are compatible with most standard dimmers in the market. 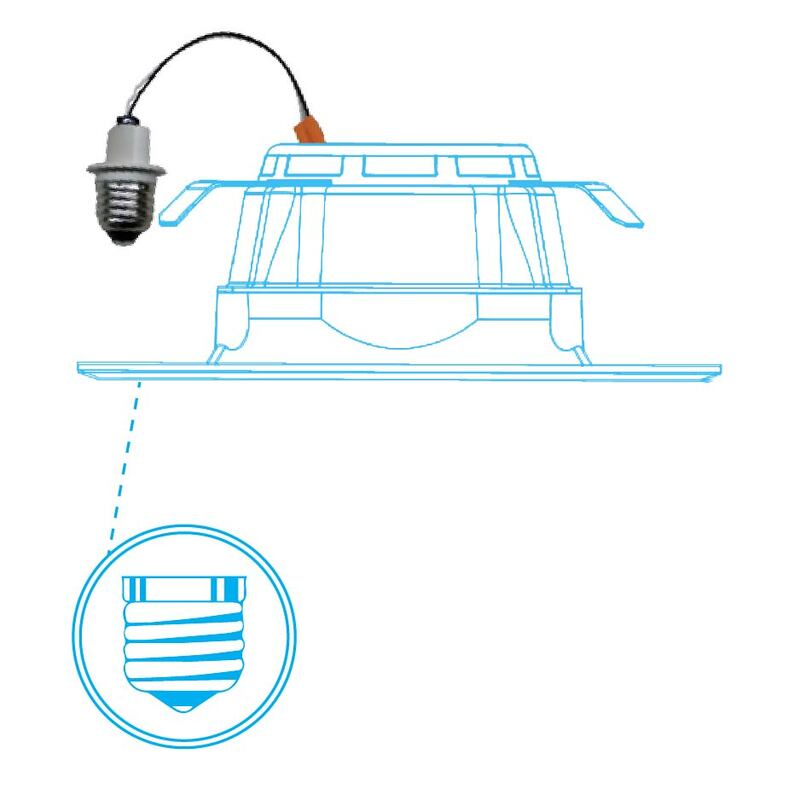 All of our dimmable downlights come with an E26 base so the conventional fixtures with an E26 socket can easily be retrofitted with our downlights. This dimmable LED downlight is available in slim & sleek design to allow for easy mounting on low ceilings and in spaces where only ultra-thin lights can be accommodated. 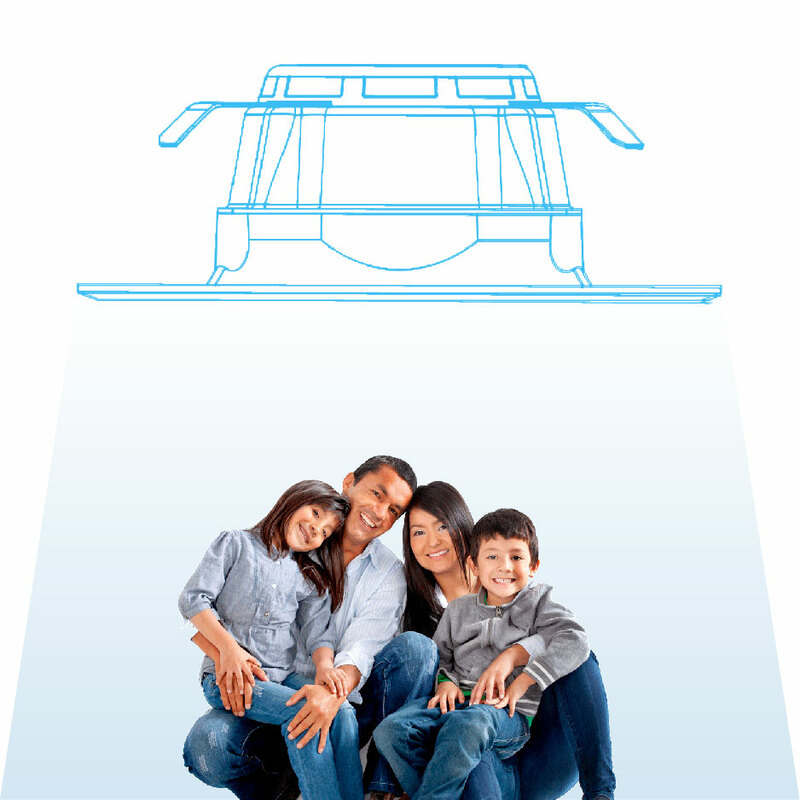 The dimmable downlights being free from any UV radiation provides for safe lighting in indoor spaces. They are also free from mercury or any other toxic waste products so as to make the environment safe, healthy and livable for all human beings. 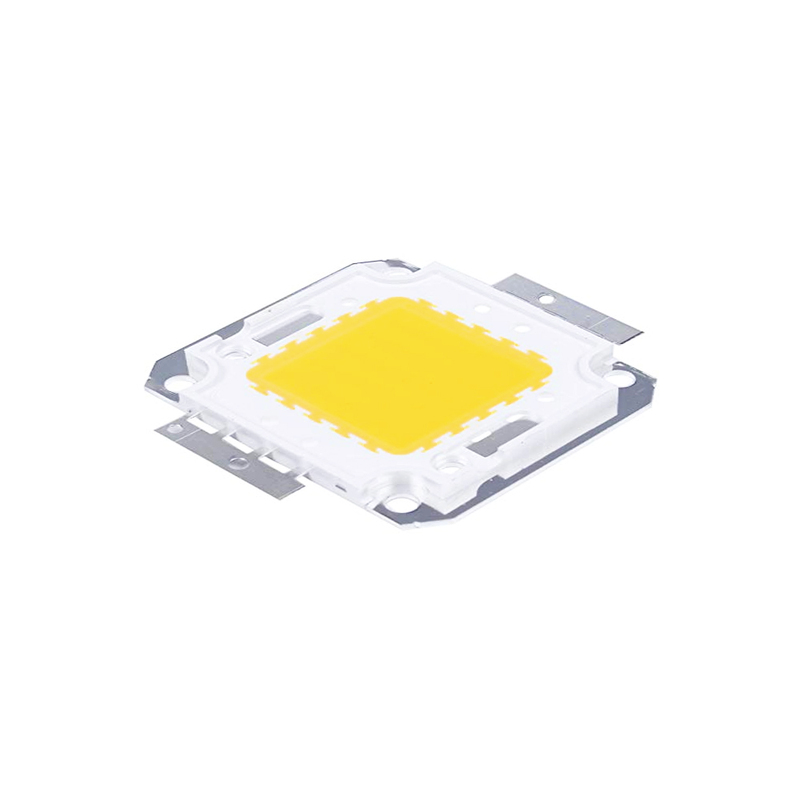 All our products including the dimmable LED downlights incorporate the LED chip of premium grade so as to increase the performance and operational efficiency when they are in operation. 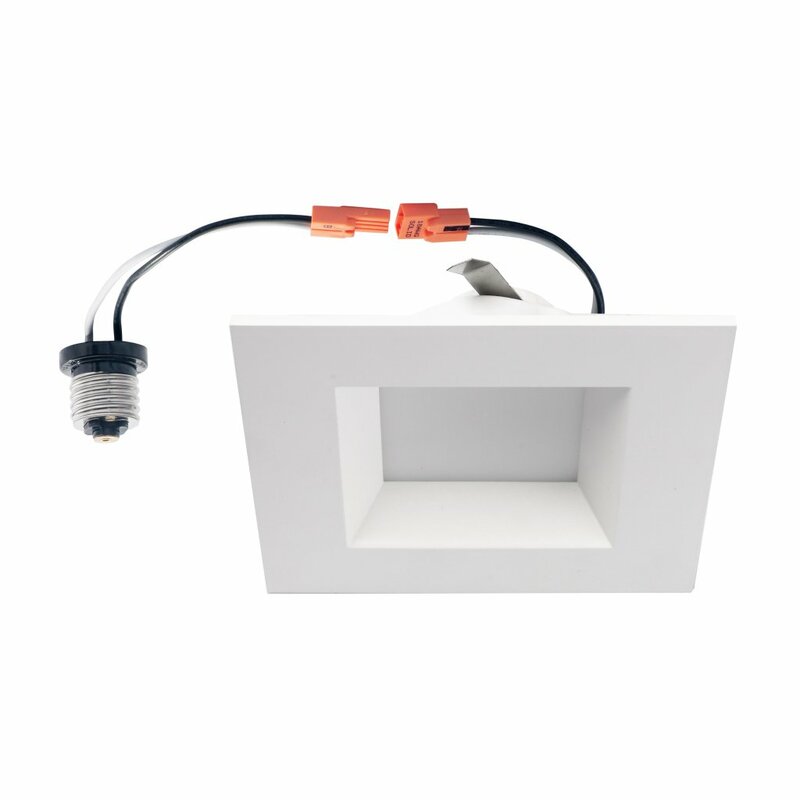 The dimmable LED downlights are housed in a rugged, die-cast aluminum for maximum durability and to enable the products rust, corrosion and bug-free. Our dimmable LED downlights are Energy Star approved hence they can get you rebates and incentives if you are found eligible. This was the only 5000k square 4" can trim I could find.